For Christians, the Holy Bible is the word and the law, which they adhere strictly to in all aspects of their lives. 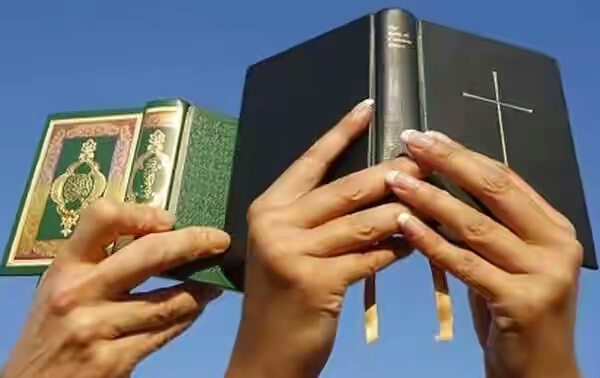 For the Muslims, the Quran is the word of Allah which they follow closely. Luke 15:10: The angels of God rejoice over one sinner who repents. Quran (63:64): Then tell Me about the seed that you sow in the ground. Is it you that make it grow, or are We the Grower? Quran 2:224: Do not use God’s name in your oaths as an excuse to prevent you from dealing justly. Exodus 20:12: Honour thy father and thy mother: that thy days may be long upon the land which the LORD thy God giveth thee.